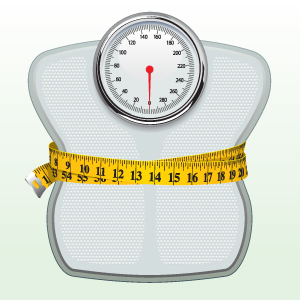 Pink Lemonade: Weight Loss Wednesday - Step AWAY From The Scale!! Weight Loss Wednesday - Step AWAY From The Scale!! Greetings all. It's time for another Weight Loss Wednesday tip from your favorite fitness coach. We’ve been told over an over again that daily weighing is unnecessary, yet many of us can’t resist peeking at that number every morning. If you just can’t bring yourself to toss the scale in the trash, you should definitely familiarize yourself with the factors that influence those numbers on the dial. From water retention to glycogen storage, and changes in lean body mass, daily weight fluctuations are normal. They are not indicators of your success or failure. Once you better understand this, you can free yourself from the daily battle with the bathroom scale. The best measurement tool of all turns out to be your very own eyes. How do you look? How do you feel? How do your clothes fit? Are your rings looser? Do your muscles feel firmer? These are the true measurements of success. If you are exercising and eating right, don’t be discouraged by a small gain on the scale. Fluctuations are perfectly normal. Expect them to happen and take them in stride. It’s a matter of mind over scale. I always wondered if weighing in the morning was the best time and now I know. It always seems to come back to the water doesn't it?